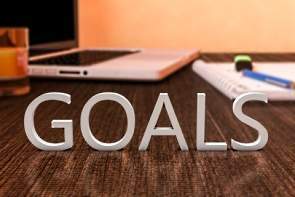 The purpose of effective goal setting is to achieve what you want in life in a successful, focused and decisive manner by taking the right actions in a lesser time frame. Who doesn't want to achieve more in less time? Yet, many of us abandon our goals before we accomplish them. Why is that? Determine what you want. One of the biggest problems people have in setting goals effectively is not knowing what they really want. Lacking a clear concept of what you want in life makes it difficult to proceed. The one thing all successful people have in common is that they are extremely focused and intensely goal oriented. They know what they want and they understand it takes setting goals to achieve it. Do I want to be in the best of health and what will it take to get there? Plan, organize and prioritize your goals in smaller, manageable chunks. If you look at everything you want to achieve all at once, you might find it daunting and overwhelming, so it's best to organize and prioritize your goals. Instead, devise a workable plan for each item you want to accomplish. You know that your health goals need to be ongoing ones, so establish a daily routine or agenda that you can keep up on a regular basis. For career goals, categorize them; in monthly, quarterly or yearly chunks. List points, or plan the actions required to attain a particular point in your career. This may include taking the odd supplemental course, doing extra reading, or volunteering in the community in order to get exposure and experience. Since careers take time and effort to build, planning and organizing your moves makes good sense. Review, update and revise. Review and update your goals on a regular basis to ensure they are still relevant to you. Doing so also keeps you on track and taking the appropriate steps and actions. If some of your strategies aren't working, fine tune them, or devise new ones. Likewise, figure out which obstacles and distractions are getting in your way and determine what you need to do to overcome them. We all know there will be setbacks and bumps in the road along the way to achieving our goals, but we need not let them hinder or take us off course. Revise and adjust the game plan where, and when, you need to. A great tool for keeping you focused is the journal or workbook you've been maintaining. Go over it regularly as a reference point and to remind yourself what you want to accomplish. Set up routines or habits that will ensure you stay on track. For example - do your exercises at the same time each day; drink your protein shake first thing in the morning. Other helpful techniques for staying motivated include the use of relevant affirmations and visualization. Many successful people, especially athletes, swear by both. It's important to 'see' yourself accomplishing a goal before you actually do. Positive affirmations implant positive thoughts into your subconscious, which in turn, prompt you to take the right actions to achieve your goals.